A high impact journal (JAMA) published a new clinical trial data in an area that your Medical Affairs team supports. The clinical trial reports data for a competitor in the field. Medical Affairs did not have a designed training department at this organization. The management team for a specific therapeutic area determined the performance gaps and level of accountability for learning new material. LMS Administrators in another department assigned training to employees. Employees read journal article when made available to the team. Employees review material immediately upon receipt. The Client required a rapid turnaround. The team review of the article needed to occur within three weeks of publication. Demonstrating leadership in the therapeutic area was one strategic objective of the department. The content should link data from related trials for the learner. Linking acts as a bridge to discuss the companies’ own ongoing Phase III clinical study. Examine how data sources complimented each other as a primary goal. The management team determined a live window for completion of one week. Report on daily activity in the LMS system. Bell RF, Eccleston C, Kalso EA. Ketamine as an adjuvant to opioids for cancer pain. Cochrane Database Syst Rev. 2012;11: CD003351. Piano V, Verhagen S, Schalkwijk A, et al. Diagnosing neuropathic pain in patients with cancer: a comparative analysis of recommendations in national guidelines from European countries. Pain Pract. 2013;13(6):433-439. Leppert W. Ketamine in the management of cancer pain. J Clin Oncol. 2013;31(10):1374. Versant Learning Solutions evaluated Altimetric information regarding social media metrics following publication Science journalists and medical advocacy groups often create content containing useful quotes from practicing physicians and scientists. Frequently, presentations of clinical trial data during training and field discussions is a dry set of statistics and statements. 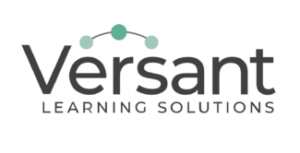 Versant Learning Solutions creates a solution that adds value and intrigue regarding clinical trial data. Assessment pulled into the training module and not held until the end of the content. We created questions focused on synthesizing information and creating new data connections. The above is focused on a single element of the training – how we can improve the data provided in dense tables. NOTE: We reached out to the designed LMS Administrator to provide estimated dates for the content push so that they could plan accordingly. This project provided value to the team on multiple levels. The management team demonstrated to internal stakeholders that the team had completed the training promptly. Management reported more productive conversations with direct reports regarding data use in the field. Employees could walk through the module multiple times and try different methods to drive the discussion with a provider. Before a meeting, employees could review the annotated PDF to help recall critical data and language from the article. Physicians expressed pleasure that the team was able to educate them on new clinical data and link that data to other data sets. Training for a field Medical Affairs team should encompass a variety of data sources and products. Management gained evidence that their team members do not interpret clinical data in the same way. Future training efforts will focus on ensuring consistency across the team in interpretation, understanding, and synthesis of new data into the prevailing therapeutic paradigm.